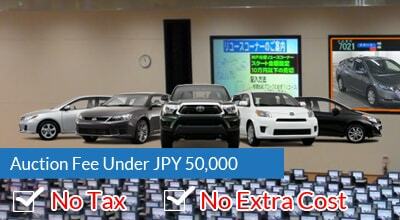 About Us | JTM Co., Ltd.
UsedCarExport.com is a Japanese used car exporter and used car auction agent. We export high quality used cars from Japan to almost any country in the world. We have been in business for 14 years and export hundreds of used cars every month. Our many repeat customers trust us to provide a reliable, worry-free purchasing and shipping experience. Every week, in auction halls all over Japan, thousands of high-quality, well-maintained vehicles are sold at competitive prices. With UsedCarExport.Com, you also can participate in these auctions and own one at a very affordable price. It will be a great pleasure and honor to be your trusted partner for importing used cars from Japan. Inspect the entire vehicle and share all information on car condition with customers. Offer an intuitive website where you can use extensive filters to compare and then select the right car that fits your needs and budget. Show a complete price breakdown of all costs. Export vehicles to just about anywhere in the world via our world-wide shipping network. With our extensive connections, we will help you to find the fastest and cheapest shipping options.